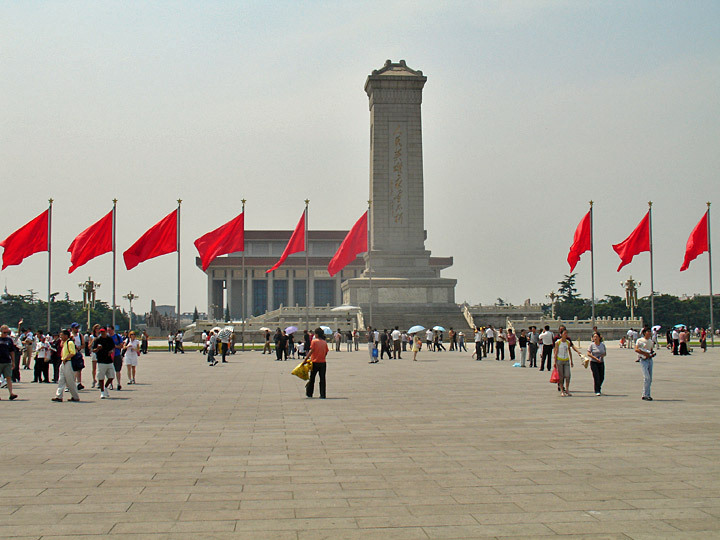 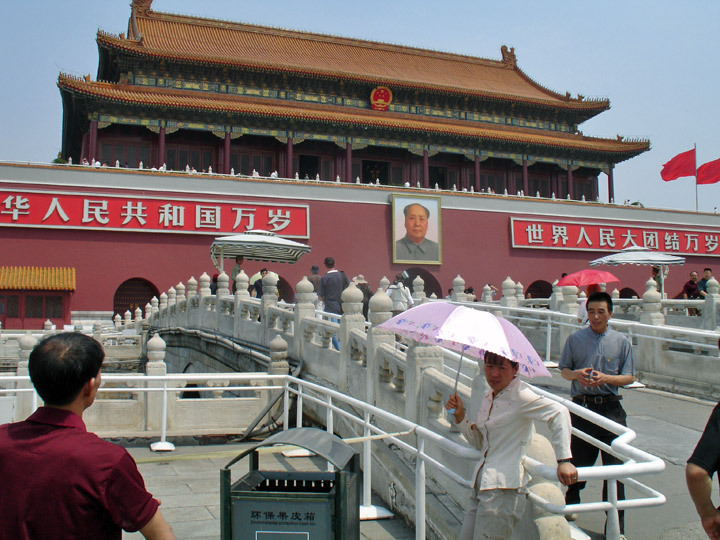 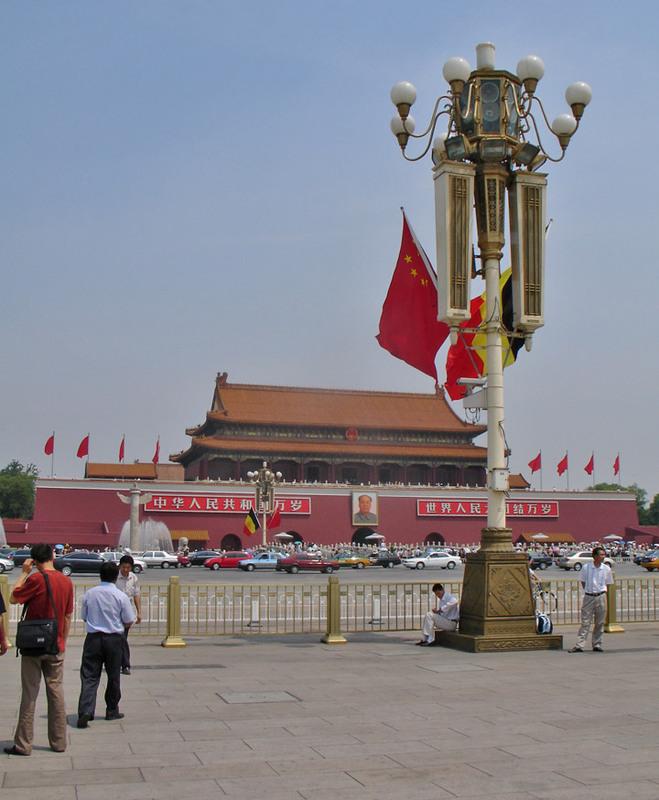 Located at the center of Beijing City is Tiananmen Square, where you can visit Tiananmen Tower, Monument to the People's Heroes, Great Hall of the People, Mao Zedong Memorial Hall and see the national flag raising ceremony. 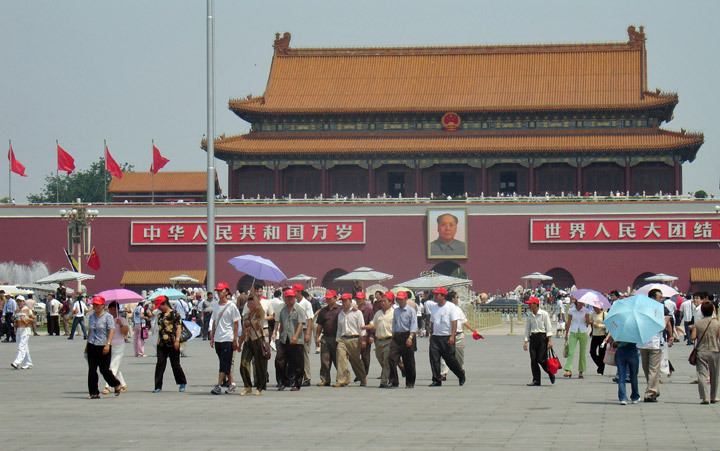 Thousands of people come to the Square every day. 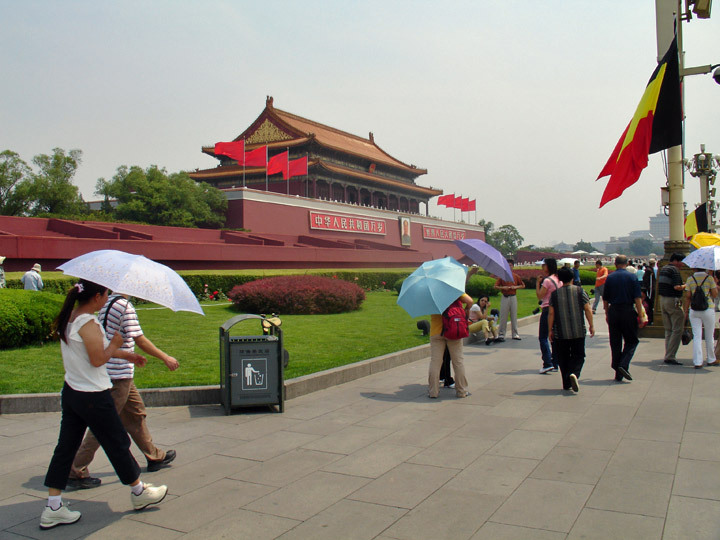 It is the must place to visit in Beijing City. 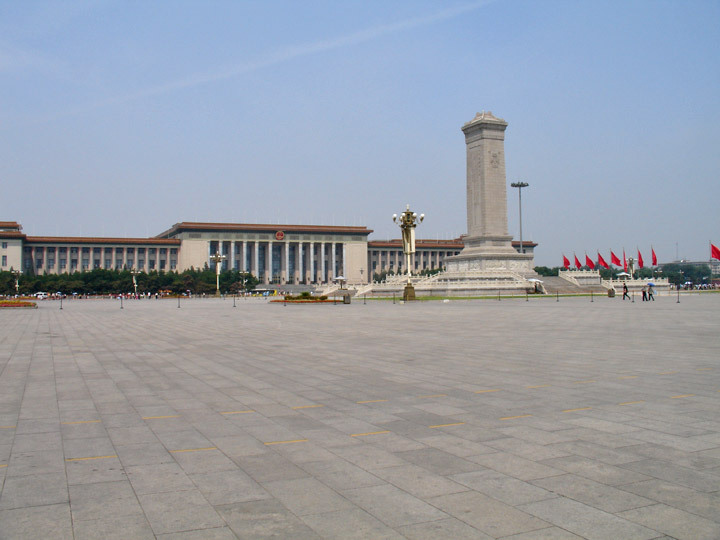 At the north end of the Square is Tiananmen Tower. 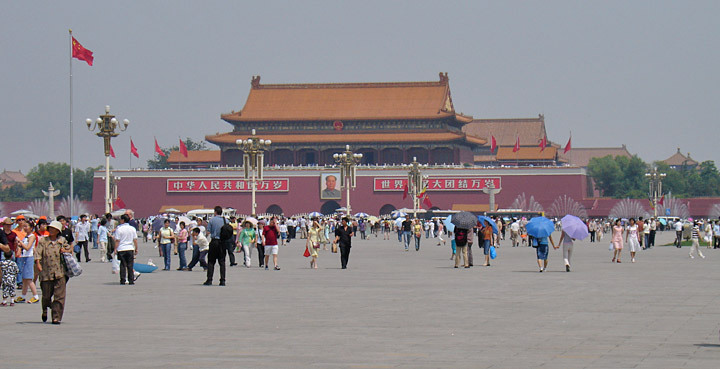 Initially built in 1417 during the Ming Dynasty (1368 A.D.--1644 A.D.), the Square was the front door of the Forbidden City. 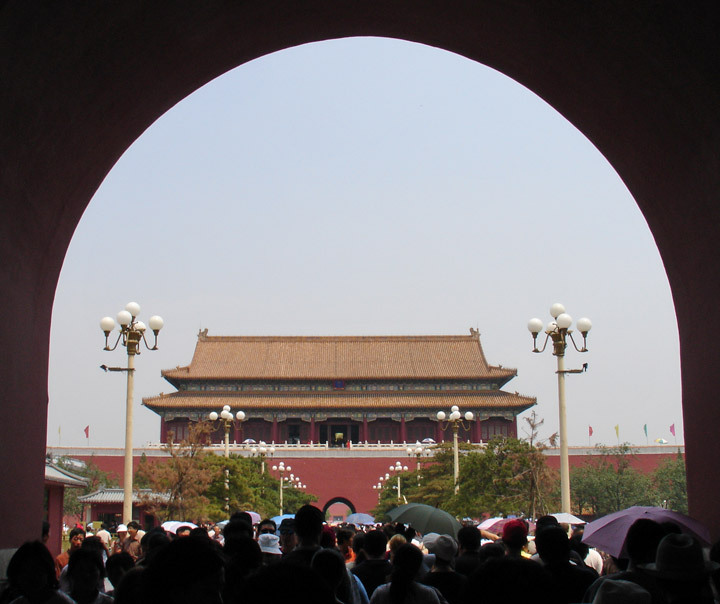 The most important use of it in the past was to declare in a big ceremony to the common people who became the emperor and who became the empress. 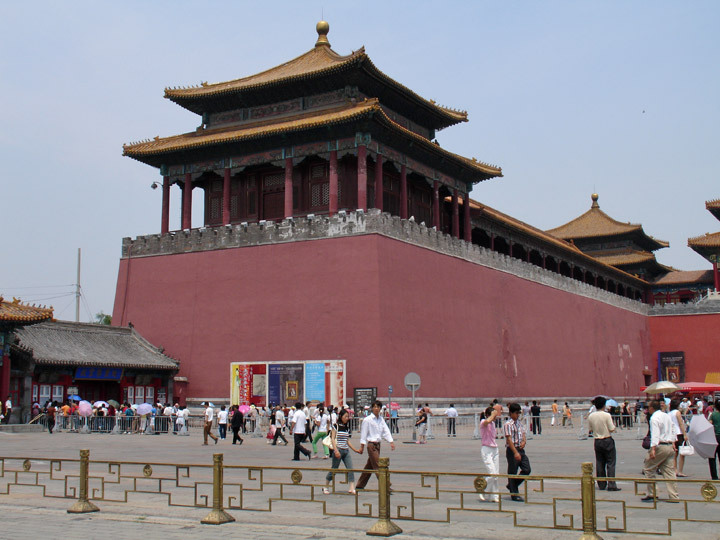 Until 1911 when the last feudal kingdom was over, no one could enter the Tower except for the royal family and aristocrats. 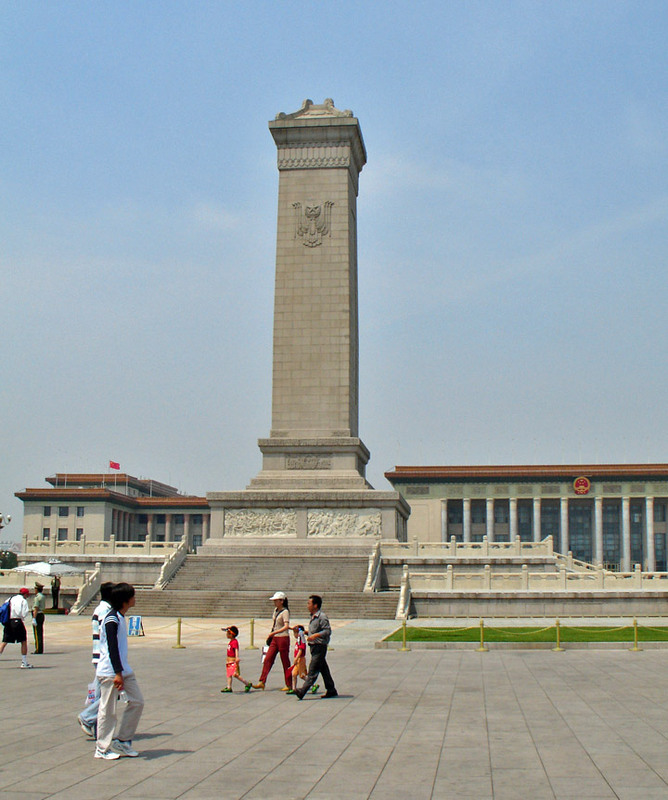 The granite Monument to the People's Heroes is just at the center of the Tiananmen Square. 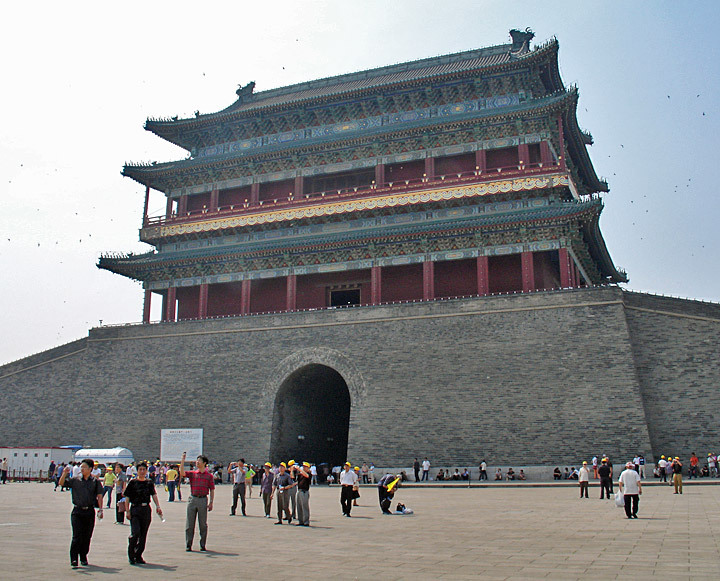 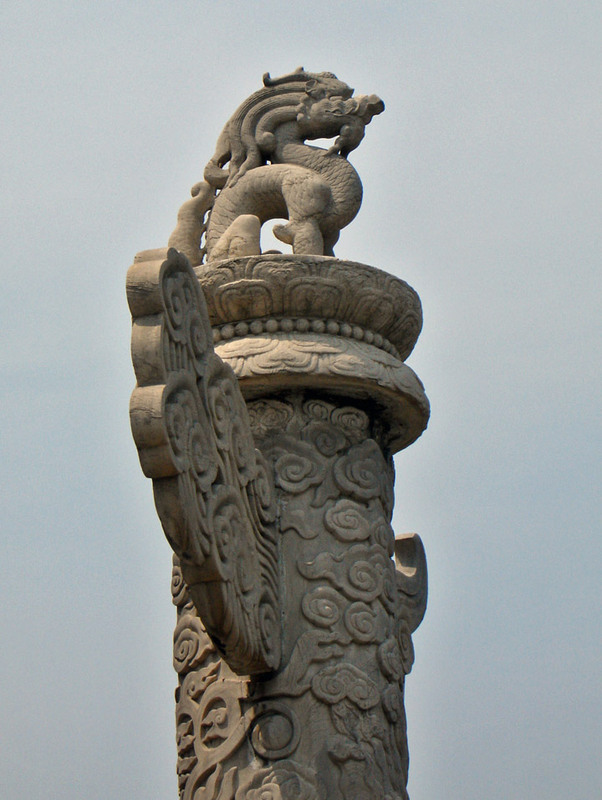 Built in 1952, it is the largest monument in China's history. " 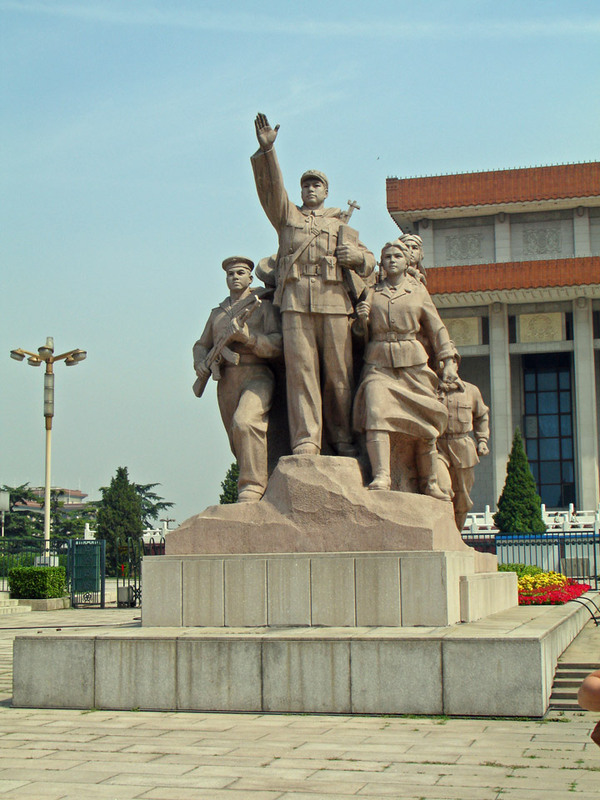 The People's Heroes are Immortal " written by Chairman Mao is engraved on the monument. 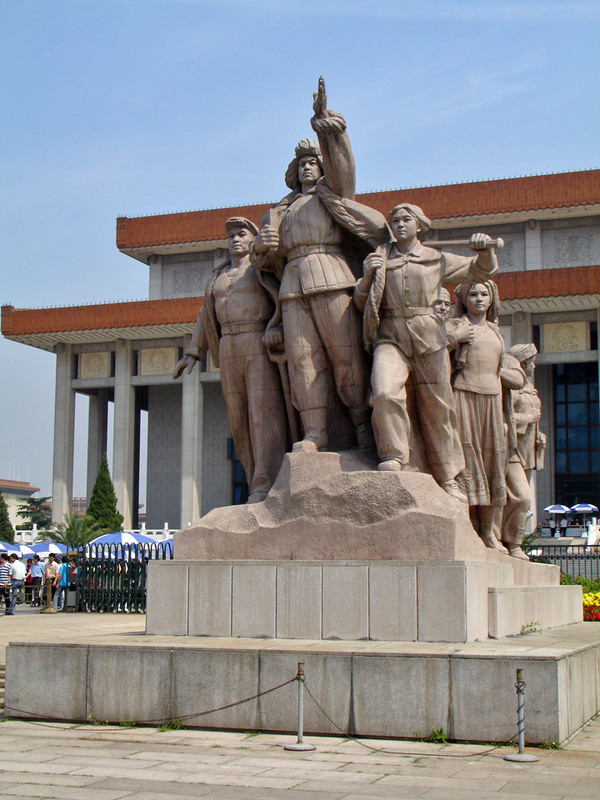 Eight unusually large relief sculptures show to the people the development of Chinese modern history. 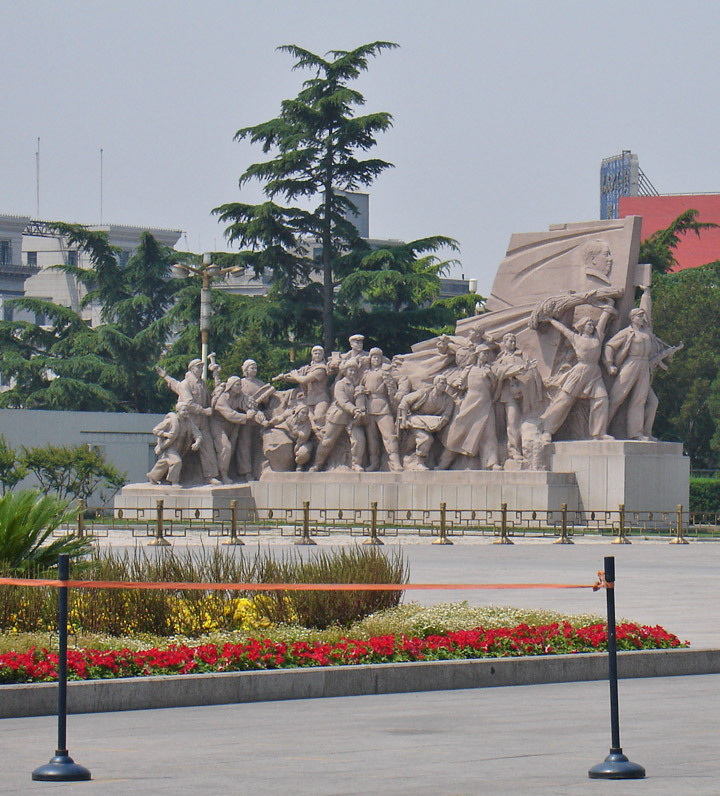 Two rows of white marble railings enclose the monument, simple and beautiful. 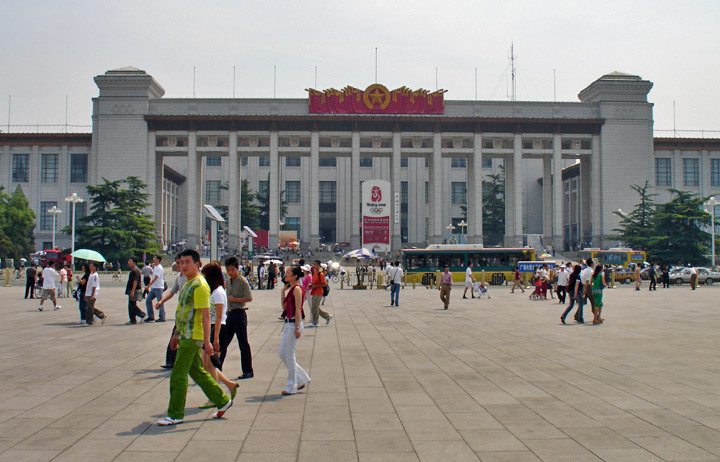 West of the Square is the Great Hall of the People. 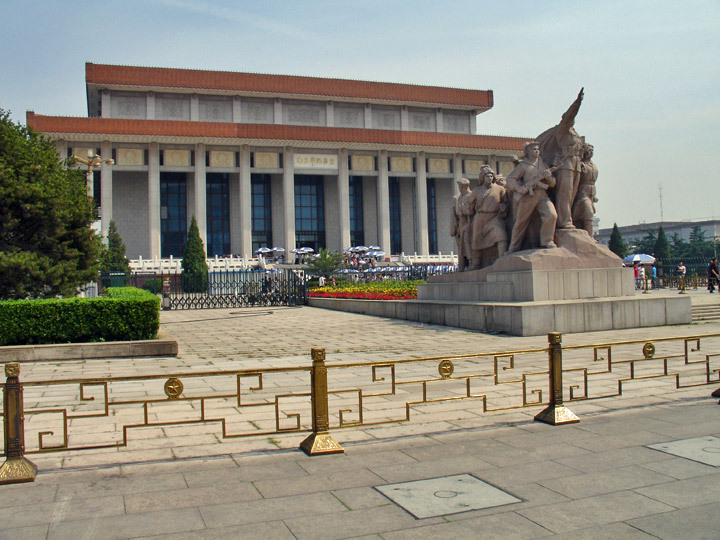 This building, erected in 1959, is the site of the China National People's Congress meetings and provides an impressive site for other political and diplomatic activities. 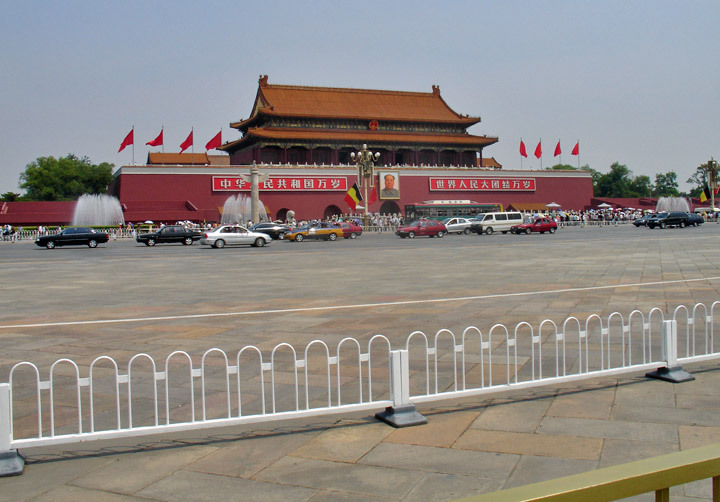 Twelve marble posts are in front of the Hall which has three parts--the Central Hall, the Great Auditorium and a Banqueting Hall. 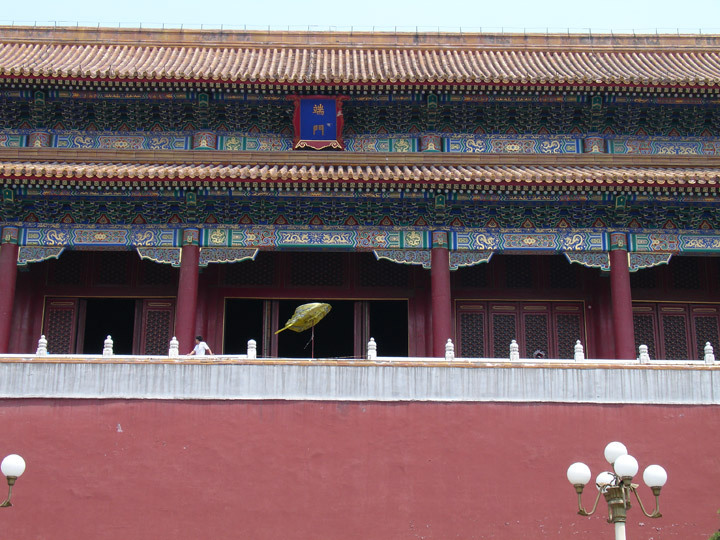 The floor of the Central Hall is paved with marble and crystal lamps hang from the ceiling. 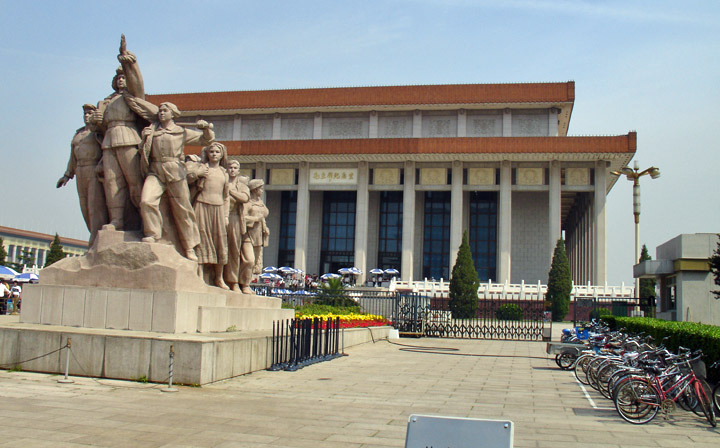 The Great Auditorium behind the Central Hall seats 10,000. 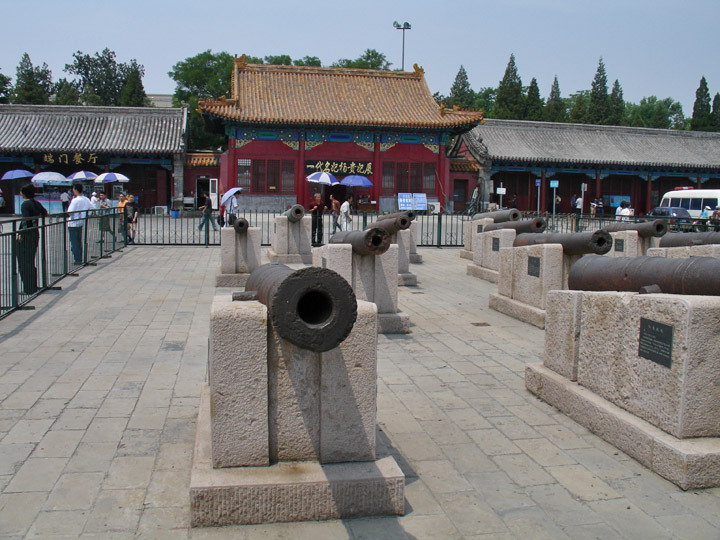 The Banqueting Hall is a huge hall with 5,000 seats. 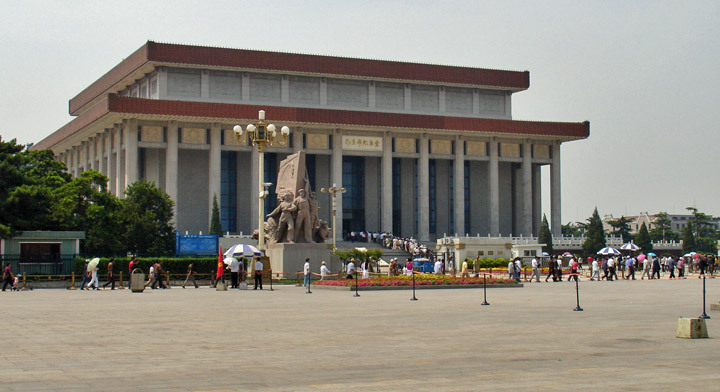 Mao Zedong Memorial Hall is at the south side of the Square. 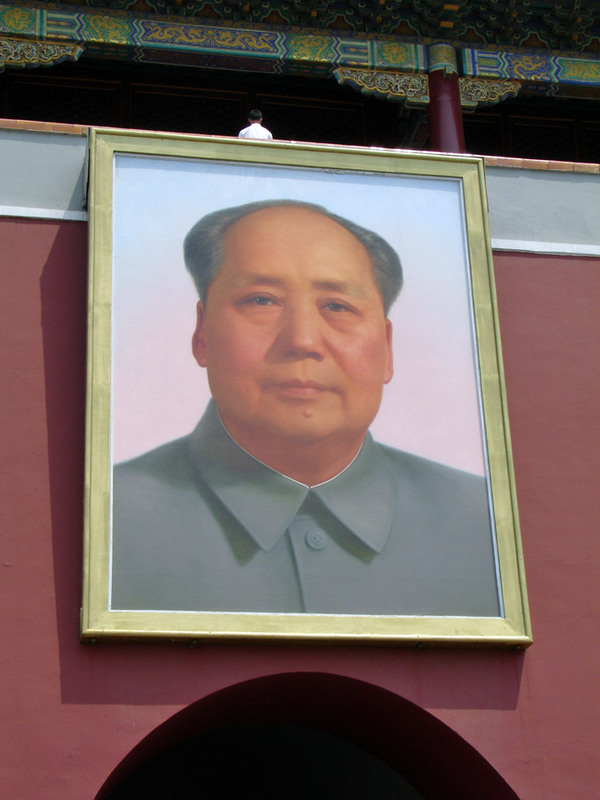 This Hall is divided into three halls and our dear Chairman Mao's body lies in a crystal coffin in one of the halls surrounded by fresh bouquets of various famous flowers and grasses. 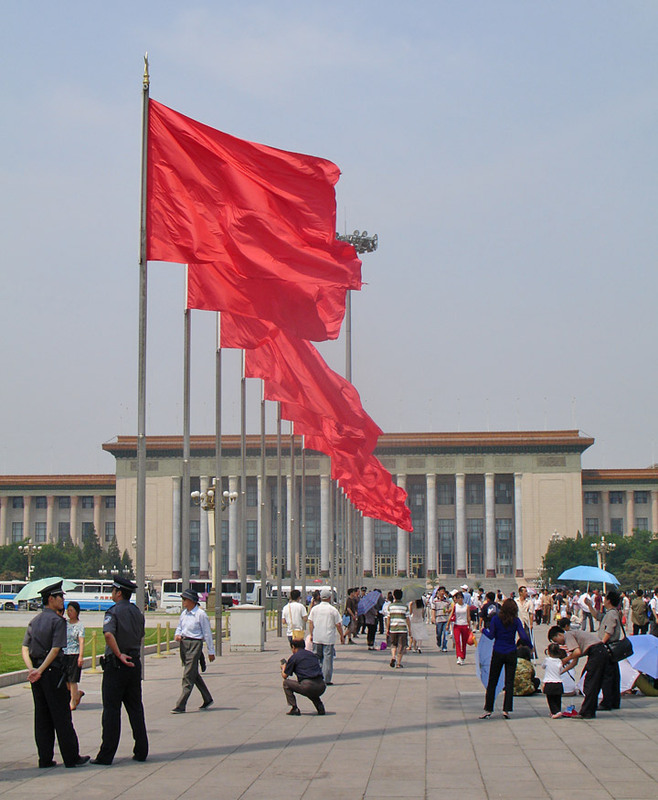 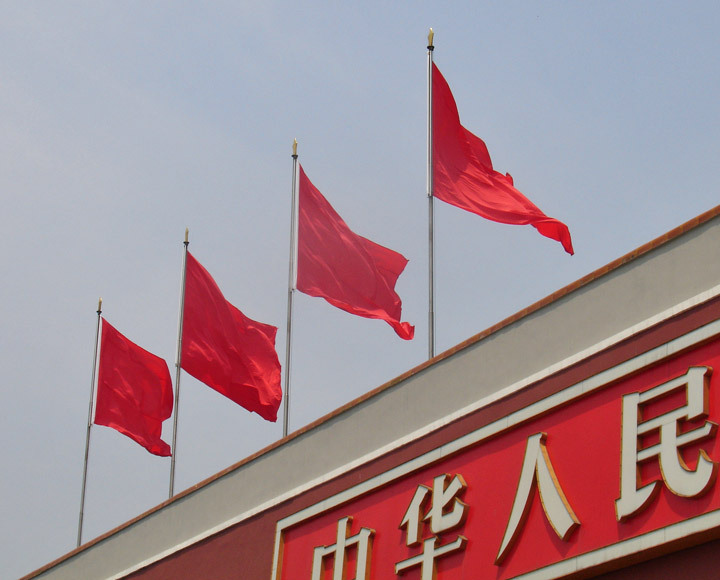 Five Star Red Flag-the Chinese national flag, flies high in the sky above the Square. 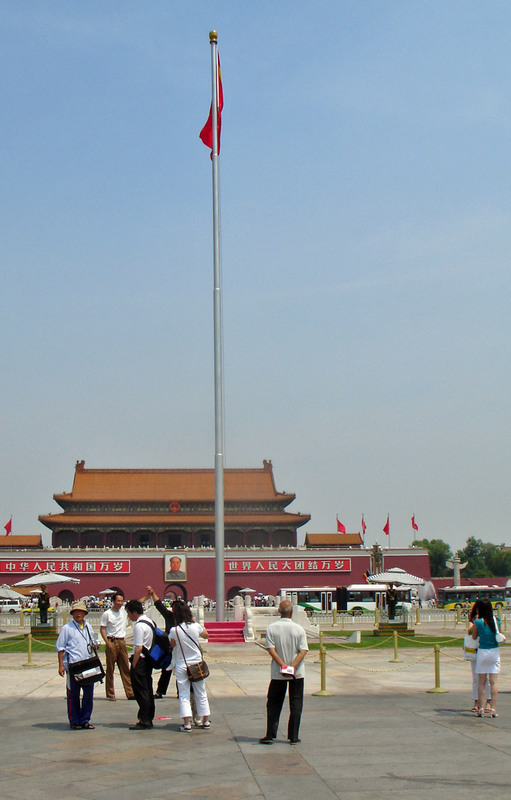 To see the guard of honor raise the Flag is a must for the tourist visiting Beijing City. 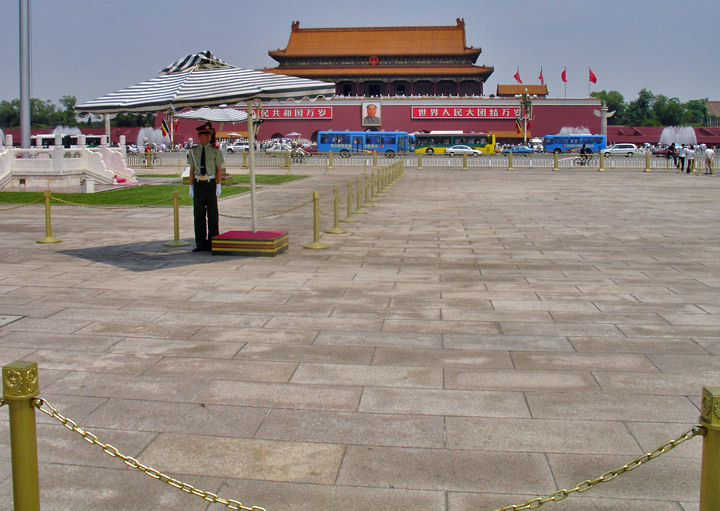 You have to get up very early and arrive at the Square before sunrise. 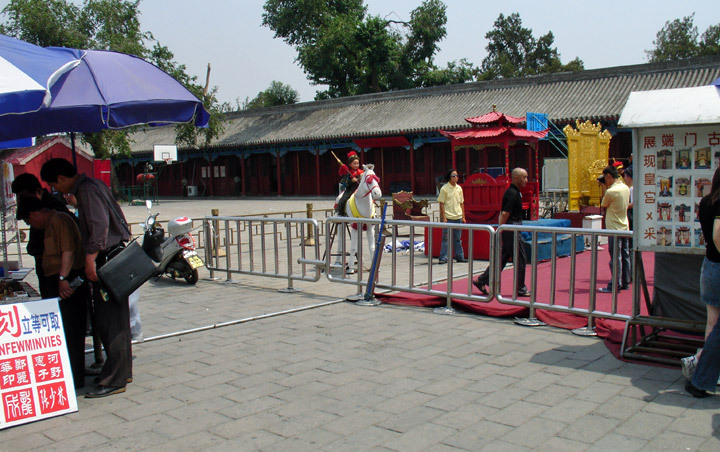 Only by doing so can you see the ceremony clearly as there are crowds of people attending the ceremony every day.